Thank you so much for taking the time to sign the guestbook. Your comments are appreciated! I have made several orders and, not only love the items, but really love that I receive everything quickly. 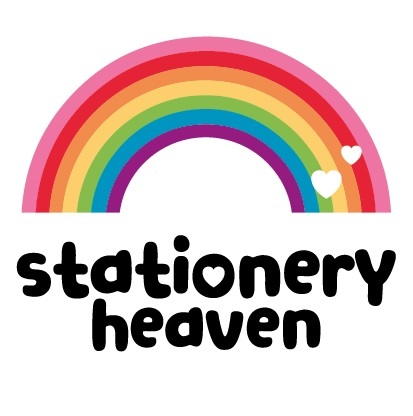 Stationery Heaven has a great range of products and really great service (I live in Canada). Stationery Heaven always give excellent service and I've had some wonderful postcards from them. Once again, I'm totally enchanted by my order. Once again It was PERFECT. One more time, it was like opening a Christmas paquet!!! :) :) Orders are always conditioned with a lot of care, (and thank a lot for the +  )My favorite shop (my only one!!!) to have such beautiful stationnery papers. THANK A LOT! My order arrived today. That's fast for international shipping! The postcards arrived in perfect condition. I was very happy with the pricing and selection. I have made twice, purchases from Stationery Heaven and both have been a wonderful experience. Even, the first time, I gave the wrong address by mistake and Nina, helped me to reship without any extra charge. This was a very gentle gesture that I kept in my mind, it showed to me, for this shop, not all is about money but about providing a great customer service experience to make their customers happy. The second time, Nina helped me adding a personalized note addressing my personal message to the receiver showing again how generous she is with her time and how proactive is with her shop. Very happy to be now a regular customer, especially because I am overseas and I buy from SH with the confidence that everything will be handled perfectly! Thank you so much dear Nina, your shop is a fantastic resource! As usual, my order was just AMAZING ! This webshop is my favourite : packaging is great, items are great, webshop's owner is so kind and always answer your questions. I just have one thing to say more : you're at the right place !!! Thanks for the quick delivery of my order! Eem collectie waar je hebberig van wordt. En als de bestelling dan binnenkomt, echt een kadootje :) super leuk ingepakt! I absolutely LOVE everything I ordered from Stationery Heaven! I live in the U.S. and the things I ordered could not be found here, and the shipping was quite reasonable for an international order. Thank you! Look forward to more cute purchases. I love the postcards on this website and the delivery is very fast and good! Hartelijk bedankt voor het snelle verzenden van de mooie kaarten en de washi tape. Heel leuk die prachtige extra kaart er bij. My order arrived so quickly. Everything was packed so nicely, it was truly like finding a colourful birthday gift in my mail. Thanks also for the extra washi tape.